HIGH-tech surgical equipment and building alterations costing nearly half a million pounds will aid local sufferers from eye conditions such as glaucoma, macular degeneration and cataracts. The League of Friends agreed a total of 21 individual requests by East Sussex Healthcare NHS Trust as a single decision at its meeting on Thursday, September 11th. Members of the charity's general committee had received a presentation by consultant ophthalmologist Mr Pieter Gouws, Lesley Carter, matron of the new Bexhill Ophthalmology Day Unit, and her deputy Jo Tucker. The League recently paid £180,000 to equip the new macular degeneration eye clinic at Bexhill. Mr Gouws said re-configuration of the Trust's operations had made it necessary to move eye surgery from the Conquest Hospital at short notice. Facilities at the Jethro Arscott Day Surgery Unit and vacant former physiotherapy department at Bexhill had proved ideal. But the Trust had no funds and work was currently being undertaken on two sites. 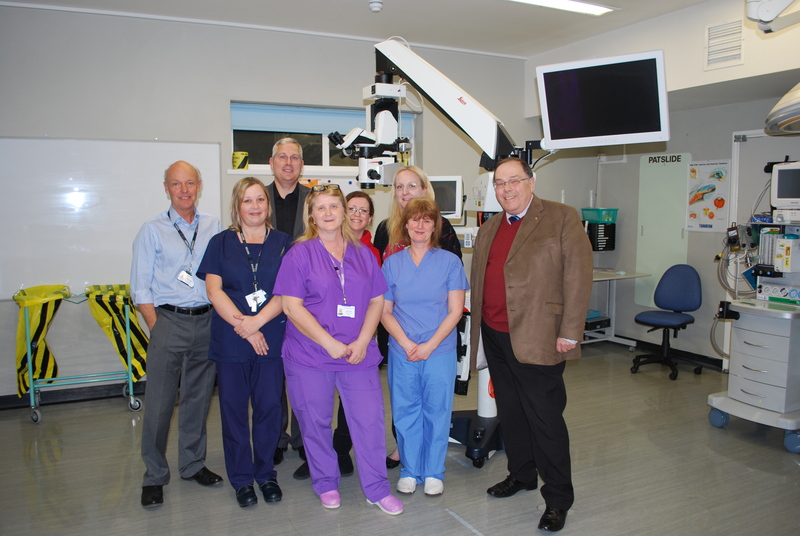 The Trust's wish-list included 15 sets of surgical instruments, three lasers, a £62,408 microscope and three slit lamps together costing more than £79,000. The list totalled more than £480,000. The new eye unit will serve patients who previously attended the Conquest Hospital. In answer to the committee's questions, Mr Gouws said that because of its age profile half of his patients came from Bexhill. Mr Gouws said that eight to ten eye operations would be undertaken at each morning and afternoon session at Bexhill plus two to three eye clinics, each seeing 14 patients. But he warned that the extra work being undertaken would exacerbate the on-site parking problem, an issue about which the league has already expressed concern and an interest in seeking a solution. Lesley Carter said that patients who had had one eye operated on at the Conquest and the second at Bexhill had already said they preferred the Bexhill site. The League's action has been made possible by legacies. Treasurer Chris Ashford reported that more than £1m had been received so far this year.